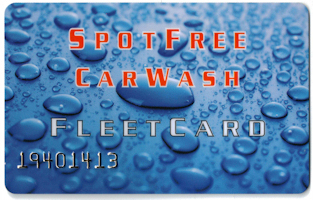 Spotfree’s pre-paid gift cards are a convenient and economical way to keep your car shining all year round. To refill your card, please select the Dollar Amount to be added, location of your choice and enter your current card number. Spotfree offers refills for our pre-paid gift cards that can be used in our touch-free automatic and self-service bays. They are available in denominations of $25, $50, $75 & $100 with additional credit issued. Gift cards can be used to purchase the wash package of your choice in the Touch-Free Automatic bays. In the Self-Service bays you swipe your card and the equipment is activated. Credit is deducted from your card as you wash until the STOP button is pressed, and then the total amount used is shown on the screen. Gift Card refills can be ordered here. Please allow up to 48 hours for your gift card account to be credited. If you want to purchase a new card to be mailed directly to you or sent as a gift to someone else Click Here.